The time runs so fast. I baked this cake a day after the trip to Honest2Goodness Market. In meantime I finished reading “To Kill a Mockingbird” and started “The Paris Wife” recommended by Adrienne. This cake is a lovely, simple recipe. 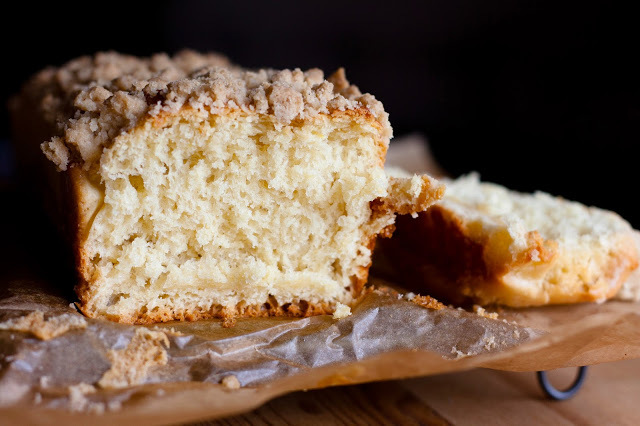 A sweet yeast cake would be a staple Sunday recipe in many homes in Poland. It’s probably because it is such a good base for different variations. It goes well with most fruits, you can add chocolate if you fancy it and when your pantry is empty crumble is still enough. It can make nice breakfast with some butter. It’s great for making French toasts. Line a 30×30 cm pan with parchment paper. In a big bowl mix egg yolks and sugar until light. In a 1/2-liter bowl or jug mix yeast and sugar. After a while they will become liquid. Add milk and leave it until it become frothy. Add the yeast mixture to the egg mixture and mix it. Add flour, lemon zest, melted butter and mix until combine. The recipe doesn’t call for proper kneading, but I kneaded the dough briefly with a mixer. You can use a wooden spoon as well. Leave the dough to rise for one hour or until it doubles in size. Flatten it, transfer it into the pan and leave to rise for another hour*. 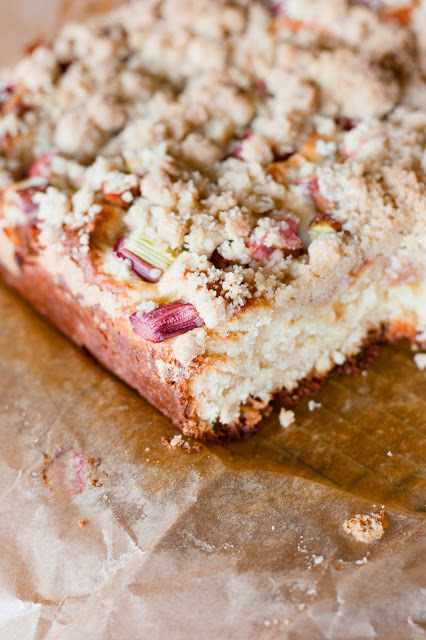 After 30 minutes or so arrange the fruits at the top of the dough and sprinkle with the crumble. Allow to rise for another 30 minutes. Bake for 25-35 minutes, or until golden. Remove from the oven and leave it to cool. Posted in Autumn, Cakes, Summer and tagged fruits, rhubarb, yeast. Bookmark the permalink.